DealBook Briefing: ‘Brexit’ Deal Fails; What’s Next for Britain? Good Wednesday morning. Breaking: Sears and Edward S. Lampert have reached $5.3 billion deal that would keep its stores open for now. Want this by email? Sign up here. Prime Minister Theresa May of Britain suffered a crushing defeat yesterday, after Parliament rejected her plan to withdraw the country from the European Union. The result thrusts the country further into political chaos 10 weeks before it is scheduled to leave the bloc, write Stephen Castle and Ellen Barry. The response: Jeremy Corbyn, the leader of the opposition Labour Party, called the defeat “catastrophic.” The European Union said it was stunned by the defeat but said there was no option to renegotiate. “Time is almost up,” said the European Commission president, Jean-Claude Juncker. The markets: The uncertainty of a deal will weigh on investors. Analysts say some sectors will be especially sensitive, including homebuilders, commercial real estate, banking, retail and leisure. What’s next? Mr. Corbyn called for a no-confidence vote, which will be debated today. The measure is expected to fail, but Mrs. May has little time to regain momentum, and must present new plan by Monday. The fear will be that Britain is now careering towards a no-deal Brexit, but in fact Tuesday night’s vote may yet prove the high-water mark for the Brexit hardliners. Having thrashed Mrs May’s plan they must now watch her reach out towards Remainers. A softer Brexit or even no Brexit at all, now looks more likely than the no-deal they crave. The partial government shutdown has been marked by theatrics. Democrats spurned an invitation by President Trump to a lunch of steak and potatoes at the White House. Legislators marched across the Capitol to confront a top Republican — who was not in his office. Kraft Heinz announced that it would distribute free food to federal workers. But as the stalemate enters its 26th day, economists are warning that the damage is real and growing, writes Jim Tankersley. The Council of Economic Advisers said that each week of the shutdown reduces quarterly economic growth by 0.13 percentage points as furloughed employees and contractors sit idle, steadily scaling back their spending. • The Trump administration said it would call tens of thousands of employees back to work, without pay, to prepare for the tax-filing season, oversee air travel safety, and sell oil and gas drilling leases. • Unpaid federal workers said that they deserved to be paid immediately for working during the shutdown or be allowed to take jobs elsewhere. A federal judge disagreed. • The Liberty Bond program appealed to Americans’ sense of patriotism to raise funds during World War I. Two Republican lawmakers hope a similar tactic would pay for a border wall. 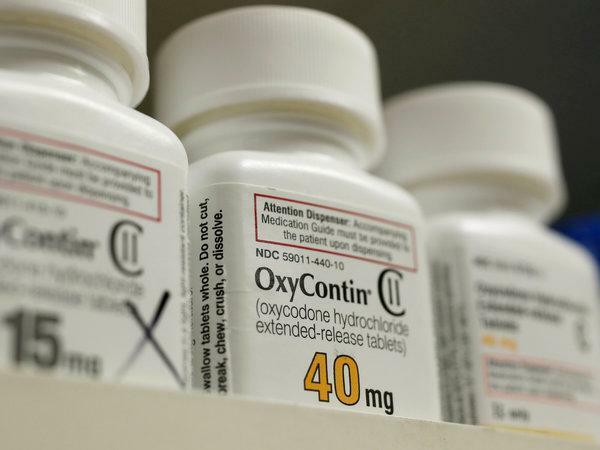 Members of the Sackler family, which owns the company that makes OxyContin, were accused in court documents of being directly involved in efforts to mislead doctors and patients about the dangers of the painkiller. The evidence, revealed a Massachusetts lawsuit filing, appears to tie the Sacklers to decisions made by the company, Purdue Pharma, about the aggressive marketing of OxyContin, Barry Meier writes. The promotion of the drug helped set off the opioid epidemic. The Sacklers are one of the richest families in the U.S., with much of their wealth derived from OxyContin sales. In a statement, Purdue Pharma, rejected suggestions of wrongdoing by the company or members of the Sackler family. Apollo Global Management is close to a deal to buy Arconic, an aerospace-parts maker, for more than $10 billion, the WSJ reports. The news: Apollo would pay $21 to $22 per share for Arconic, which has a market value of about $9.3 billion. The price would represent a premium of 5 percent to 10 percent above the closing price of Arconic’s shares on Tuesday. The deal is likely to be announced this week. The back story: Several buyout firms have shown interest since last summer in acquiring Arconic, which was formed from the break up of Alcoa in 2016. The context: A deal would be one of the largest leveraged buyouts in recent years and another sign of a thaw in debt markets. Last week, Targa Resources became the first issuer to sell junk bonds since November, ending a 40-day stretch without a high-yield bond sale. A takeover bid for Gannett could complicate its pursuit of Gizmodo Media, which owns Deadspin and Jezebel as well as its namesake technology website. The news: Gannett is a serious bidder for Gizmodo Media in an auction that has also drawn attention from the owner of Gawker.com, the WSJ reported, citing anonymous sources. Univision put Gizmodo Media up for sale in July. Why it’s complicated: In an open letter to the Gannett board, MNG Enterprises, a major Gannett shareholder, offered on Monday to pay $12 cash per Gannett share. MNG which is owned by the hedge fund Alden Global Capital, accused Gannett of damaging the company’s financial position by making several “aspirational digital deals” that haven’t paid off. It demanded that Gannett postpone all digital acquisitions and hire bankers to review strategic alternatives. Fourth-quarter results released on Tuesday by JPMorgan Chase and Wells Fargo pointed to concerns about the credit and housing markets. • Revenue at both banks missed Wall Street’s estimates, and both announced underwhelming loan growth. At JPMorgan, commercial and industrial loans increased 1 percent, down from 4 percent in the prior quarter. Jamie Dimon, the chief executive, said the bank will pull back lending even more if necessary, saying, “We are not going to be stupid.” Wells Fargo said its mortgage originations fell 28 percent year over year. • JPMorgan said its revenue from fixed income trading declined 16 percent from a year earlier, mirroring a similar slump reported on Monday by Citigroup. But net interest income, the gap between earnings from loans and payouts to depositors, rose 10 percent for JPMorgan and 3 percent for Wells Fargo. • Bank of America and Goldman Sachs are to release their own reports today. • In the airline industry, United Continental beat expectations as fourth-quarter revenue soared 11 percent. The airline said its earnings for this year could be as high as $12 per diluted share. The results lifted the shares of United and rival airlines alike. Santander balks at price tag for new C.E.O. Andrea Orcel, a top investment banker who seemed set to become the chief executive of Banco Santander, is now without a job. Santander decided not to pay him more than $50 million in deferred compensation Mr. Orcel was owed by his previous employer, UBS. Ana Patricia Botín, the bank’s executive chairwoman and part of the family that controls the lender, said that Santander had underestimated how expensive it would be to hire Mr. Orcel.